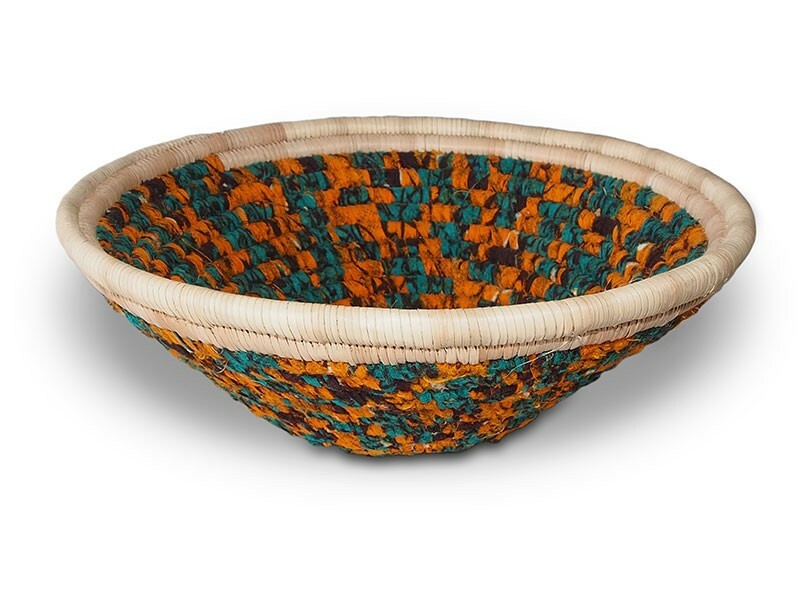 These colourful baskets are woven in Namibia. 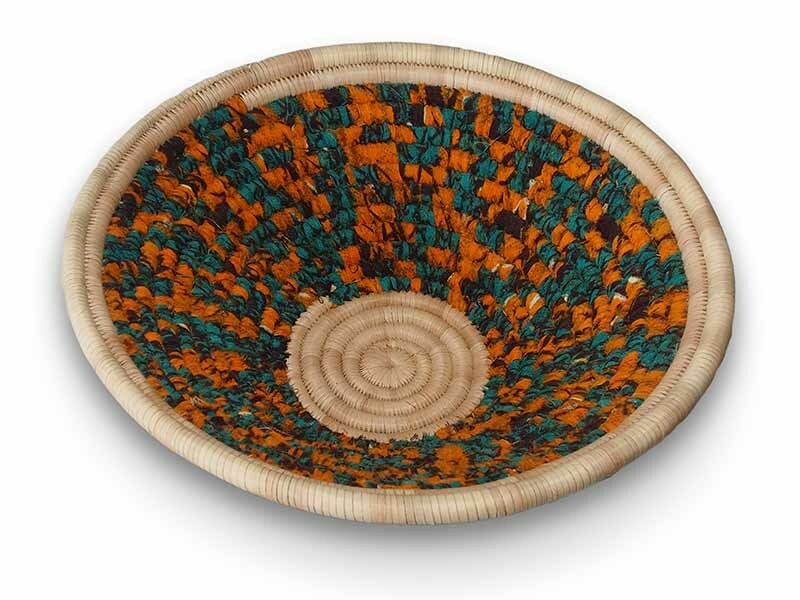 The word Chitenge refers to a piece of cloth, in this case which is woven into these grass baskets. Giving them a wonderful happy and modern twist to the otherwise traditional vessel used for serving grains at family feasts.